Hi MadeByGirl readers, Alison here from Heart of Gold and Luxury and I am excited to share with you a late spring dessert that is perfect for summer! I couldn't be happier that berry season has arrived. Not only do I enjoy making various baked goods out of them, but I also love eating them, especially blueberries and raspberries by the pint. 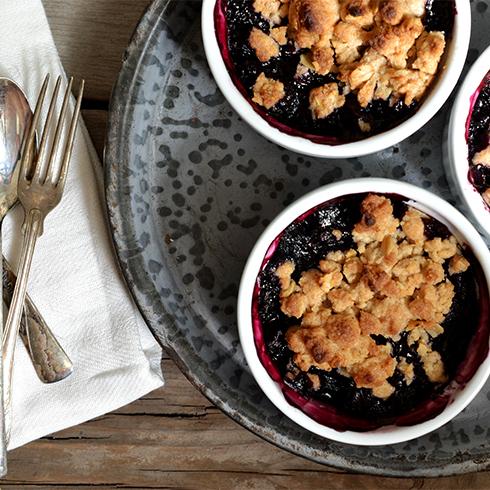 One of my favorite blueberry desserts is Blueberry Crisp with Oatmeal Crumb Topping. I opted to make this recipe in individual ramekins for better portion control, because my friends, when crumb topping is involved I find it hard to control myself! Directions: Preheat oven to 375 degrees .Gather four ramekins and place on a baking sheet. 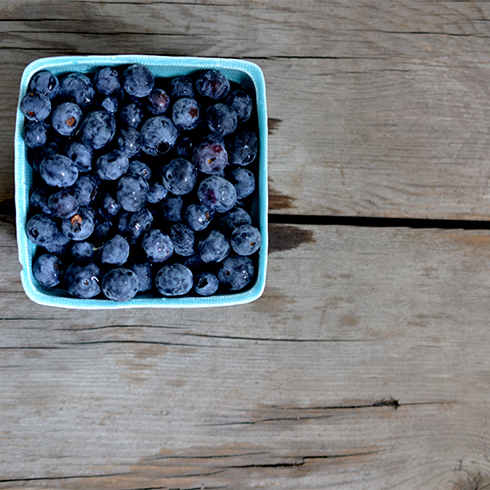 Combine blueberries, sugar, corn starch, lemon juice and a pinch of salt in a medium bowl, stir to combine. Set aside. In another bowl, combine flour, oats, baking powder, sugar and spices, whisk together. Using a pastry cutter, add the butter and mix until combined, mixture should stay together when squeezed into your palm. 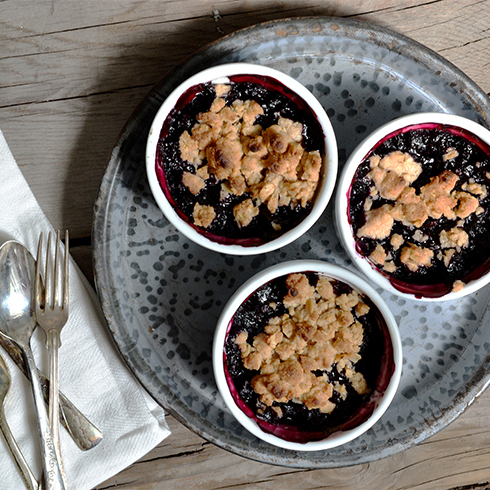 For assembly, place blueberries into ramekin and add a generous amount of crumb toping. Bake for 20 minutes or until topping has browned. Serve warm or cold. I just purchased some blueberries from the farmer's market. I normally stay about from baking, but this looks so delicious I might just try it. Alison: We tried a similar recipe and it came out amazing! I love the crisp part- my fave! I am glad you liked it Jen! That is the most addictive part! I love blueberries. I will try this when I have time.